Those of you who experience the cold of winter, know how much wear and tear the climate plays havoc with your skin. Even those of you who live in areas that don’t have extreme seasonal changes, still experience a shift in climate, therefore may notice this same thing. When I lived in Florida, where it can often get cold during the winter months, I definitely noticed how it affected my skin. However, now that I live back in north east it’s even more so. Listed below are two products which I personally use and adore! And the greatest thing about them is that they’re very inexpensive and can be found in most drug stores, or if you choose, can be purchased online. Okay, can I just tell you that this product is the BOMB! I found it completely by accident one day, while I was in CVS. I needed something desperately for my hands because they were so dry, so I picked up a small trial size, but then went back and purchased a full size. And do you know what I love most about this product? I love that it’s extremely light and doesn’t leave a thick or greasy residue on your skin. After you rub some on, it is immediately absorbed; leaving the perfect moisture shield. In fact, it’s so light that you can actually use it on your face. I use it all over my body, but especially on my hands and feet because they get the driest. My favorite lip balm was discontinued last year, so this year I was on a search for something compatible. Actually, one of the girls I work with recommended this product to me and after I bought a tube and tried it, I thanked her profusely. I don’t like using a lip balm that feels heavy on my lips, or leaves a shine, like lip gloss. And that’s exactly what it is, simple, basic, and great for sensitive skin. *Contains just six carefully chosen ingredients to moisturize even the most sensitive lips effectively and without irritation for care your lips will love. Tip: before going to sleep, apply a heavy coating to your lips so that it works throughout night. So if you’ve been on the search for wintertime skin protection, please give these products a try. I think you’ll be delighted with their results. Don't you HATE that when they discontinue a product? I have to buy my Almay Line Smoothing makeup on Amazonnow.......who knows when they'll run out! that, Ron! The crease by my mouth needs some Botox or something! and perfume junkie, so I love reading about this stuff. I hope you do more! like a great one too! 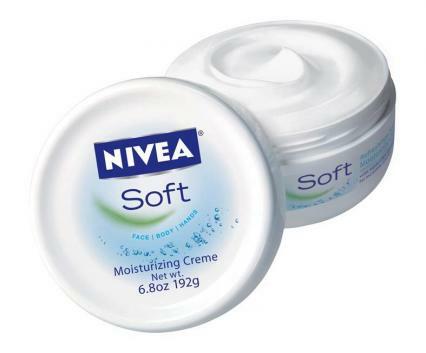 I first bought a tin of Nivea skin cream when I lived inSwitzerland, when it was still packaged in metal containers. (Because I'm OLD.) I do love the smell of Nivea. They also make an oil I like. I have a tub of CeraVe by my bedside because I love the way it makes my skin feel. I have possibly the driest skin in the world. So much so that I can put vaseline on my face, while my son recoils and says, "Oh my God, Mom, that's disgusting!" So dry, in fact, that I clean my face with olive oil. Truth. I'll have to check out that kind of Blistex - I am always looking for good lip balms. Although, as a woman, the shiny thing isn't a problem! Thanks for the info on the lip balm, Ron, because I've been using one from Burt's Bees and I can't stand it. I know it's supposed to be all-natural and stuff, but it's so waxy that it feels gritty and thick on my lips. So I'll try the one you suggested. And yes, I like inexpensive. the skin cracks. As you know, the cold weather can cause dryness and cracking, but in my case it's accelerated by all the concrete dust I work with. This time of year it's a constant battle. it, but I'm ok with it. about Blistex... I use that a lot. What?! You KNEW I was having issues? shows up--lips, hands and feet. hate it. And that waxy ick on my lips, yeah......ick! So--I've now added to he-who-loves-to-shop's list! I always use moisturiser on my skin (face and body) every day. At the moment I am using Elemis on my face and Aveeno on my body. Thanks for the headsup on these two Ron. finding that all other makes were not suiting the facial skin, but even the EA product began to affect how the skin felt." felt. And it felt like you described 'a thick or greasy residue'. I was told by the EA girl that it was because my skin was ageing but having said that there was nothing else she could offer me." rather that sometimes are skin gets use to a certain product after using it for awhile, and it's time for a change. That's why I like using a few different products on my skin, to keep it fresh! "I already know about Blistex... I use that a lot." Thanks so much for stopping by, dear lady. Yes, time is flying! I can hardly believe the month is almost over. "Have you ever used Zim's Crack Creme?" No, I haven't ever used it, but I've seen it in the drug store and advertised in magazines. I hear it's GREAT! Not only for hands, but cracked heels as well. I can only imagine how your hands must get by doing the work you do, PLUS being in the cold. "Has a clove like smell about it, at least that's what it smells like to me. My wife hates it, but I'm ok with it." Personally, I love the smell of clove, so it wouldn't bother me as well. Thanks a bunch for stopping by bud, and for sharing about Zim's! so waxy that it feels gritty and thick on my lips"
THANK YOU! I've tried Burt's Bees too and found it the same way. WAXY. It felt like I had rubbed candle wax all over my lips - HA! Thanks for stopping by, buddy! Switzerland, when it was still packaged in metal containers. (Because I'm OLD.) I do love the smell of Nivea." " I have a tub of CeraVe by my bedside because I love the way it makes my skin feel." Thank you for sharing that because I've never heard of that product, but will look it up online to check it out. her face...plain old vaseline and her skin was beautiful! Sometimes the most simplest things work the best! I eat a lot of olive oil in my food because it's great for keeping your skin conditioned and really good for keeping down the cholesterol. looking for good lip balms." Thanks so much for stopping by, girl. "I always use moisturiser on my skin (face and body) every day." I've never heard of Elemis before, but will check it out online today. But Aveeno, I know and LOVE! I use their daytime moisturizer on my face. It's AWESOME!!!! Great seeing ya, m'dear. Thanks for stopping by! This is ironic because I've seen the nivea product you speak of in this post and hesitated to try it because the original nivea in the jar is great, but on the heavy side. I'll give this one a go though, because it sounds like what I like to use. A moisturizer that moisturizes but doesn't feel tacky or sticky. To be honest, that's what I thought too - it would be heavy like the original Nivea. But it's not in the least because it goes right into the skin and feels weightless. I think you'll like it, but try the sample size first. Thanks so much for stopping by, buddy! "Nivea has been the 'standard' hand cream since I was young." Same here, but I hardly ever used it because the original formula is on the heavy side. Yet, this new stuff is not - I was amazed! "I have a prescription cream for dry skin that I shower with and rub into my skin every day. It costs me nothing, so I'm happy about that :)"
Good for you! If whatever you're using and find it effective, keep on using it. AND it's FREE!!!!!! Thanks so much for stopping by, Babs! "But this winter I have had to use some moisturiser. My hands cracked painfully, and my face began to flake." Meeeee too. For some reason, the past week and a half have been icy cold and very windy. I'm not complaining, mind you, because I adore the cold, but combined with the wind....it's drying my skin out terribly. GREAT! Glad to hear you found a brand of skincare that works well for you. Stick with it, girl!
" It's Lanolips Rose Balm Intense, and darned expensive at £9 for a tiny 50 ml tube, but it's worth every penny!" I will check that out online, because I'm always interested in reading about things I never knew existed. So thanks for sharing! And much thanks for stopping by, Jay! Great Babs! And if you do, let me know what she thinks. Excellent choices! I have used Nivea and it is very good. Bought a few a couple years ago for little stocking stuffer type gifts for the holidays too. I've used Blistex, but I think the medicated one. Right now, I have basic Chapstick, but I don't wear it when I go out because it looks like you've smeared something on so I just use that at home. I have a clear gloss that I use if I'm chapped and can't wear lipstick. I will certainly keep the one you recommended in my mind when I'm in CVS next. I have a 25% off coupon so know I'll be picking up a few things. Thanks for those product features!
" I have used Nivea and it is very good. Bought a few a couple years ago for little stocking stuffer type gifts for the holidays too." Yahooo...isn't it GREAT????? And the thing I like about this version is that it's not heavy. I've tried the original medicated Blistex too, but it seemed to dry my lips out even more. Which is why I hesitated trying this new one, but it's very basic and very moisturizing. "I will certainly keep the one you recommended in my mind when I'm in CVS next. I have a 25% off coupon so know I'll be picking up a few things." OMG...don't you love those coupons you get from CVS every month? "Speaking of winter must haves.... I need HEAT right now!! I'm in my FAV B&N cafe and it's FREEZING. WTH?! They have had their a/c on for weeks and it's insane! Controlled corporately though, so it can't be fixed in the actual store"
Holy cow, you're kidding??? The air conditioner is STILL on??? That's strange because the one I go to in Philly has their heat on and actually it's too much because it's stifling. P.S. hasn't it be COLD?????? i was a fan of blistex, but haven't bought any in a while. i'm on something new that costs a small fortune, but it helps with cold sore as well. had two of those suckers - not sure why (stress) and now they haven't come back in a while. thanks for passing this along. always good to know of something else. and i trust your judgment. "in winter and summer i like to put vaseline on my feet, globs and then put on a pair of socks. good enough to eat afterward. ;)"
Bwhahahahahahaha! OMG...your sense of humor makes HOWL!!! Listen, I used to use vaseline on my feet as well, and it worked great! However, if you're ever in the mood to try something new, please try this Nivea creme because it's awesome AND it smells so good! And the price is great! "i'm on something new that costs a small fortune, but it helps with cold sore as well. had two of those suckers - not sure why (stress) and now they haven't come back in a while." Well then, continue to use what you're using because it's helping with your cold sores. But if you ever want something just for moisture...this Blistex is terrific. And it's very good for sensitive skin. Thanks so much for stopping by, girl! Thanks so much, Ron. My hands have been terribly dry this year! I look like the Mummy. Stay warm, buddy!
" My hands have been terribly dry this year! I look like the Mummy!" OMG...mine too, buddy! These freezing temps we've been getting are not only drying out my skin, but the wind outside is drying out my eyes whenever I'm out on the streets. Thanks a bunch for stopping by. Yup....stay warm! "I am obsessed with Blistex. It's the ONLY brand I use." Yaaaaaaaaaay...another Blistex user! Isn't it the BEST? OMG...you've GOT to try this Nivea stuff because it's freakin' awesome! And it smells sooooooooooooooo good!
" There's something about that packaging I really like. I guess I'm just weird that way..."
Hey, I know A LOT of people who use and love Carmex. In fact, I work with a guy who uses it in the tube. I've tried Carmex, but it seemed to irritate my lips, due to the camphor. But hey, if it works for you....Amen! Thank you SO MUCH for sharing that because I just google "Beyond Belief" and found their website - looks like great stuff! I will go back later this weekend and check it out more. Thanks for stopping by, dear lady!
" I've been playing with my arts and crafts and there just is not enough hours in the day!!" No worries, dear lady. I'm glad to hear you're having fun and enjoying your arts and crafts! "..I have Sjogren's Disease and dryness is a huge problem!! 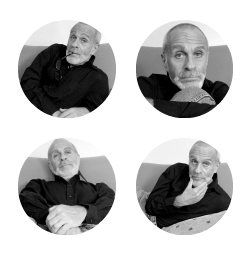 I have some favorites...and I do not always use the same kind." It's actually VERY good to switch products now and then because your skin gets use to something after it using it for a while, so it's wise to change. Bath & Body Works has some AWESOME skincare products! The stuff by Patricia Wexler is great because I checked it one day while I was in the store. Thanks a bunch for stopping by, Jeanne! I am totally picking that lotion up TODAY on my way back from the doctors office! Oh, Katherine, then you've GOT TO TRY this stuff because it's truly awesome! I also use it on my feet because they get so dry in the winter and it works GREAT! And the best part is that it's VERY inexpensive and can be purchase in a drug or grocery store. Let me know if you like it if you try it. OMG Ron I have OLD LADY HANDS IN THE WINTER! And I really REALLY mean old lady hands. I gotta go get me some nivea!!!! I have never seen it before! You know, Ron, I'm very bad at taking care of my skin. I put this down to brainwashing by my dear old Mum who was so worried about me trying out skincare products and maybe having a bad allergic reaction that she did her best to scare me away from them altogether! But this winter I have had to use some moisturiser. My hands cracked painfully, and my face began to flake, so I just had to ignore that little voice in my head that said 'your skin will go red and blister if you so much as LOOK at that tube of tinted moisturiser, my girl!' and go right ahead and plaster it on. Nivea doesn't do much for me, I'm afraid, but the line of Simple brand skincare products is amazingly good and has never yet provoked a reaction from my epidermis! And I found the most AMAZING hand and nail cream which smells perhaps a little strongly of roses at first, but it fades to a very, very pleasant scent indeed. It's Lanolips Rose Balm Intense, and darned expensive at £9 for a tiny 50 ml tube, but it's worth every penny! have our Winter Must Haves around! Bundle up and stay warm! It just started to get VERY cold here in Philly. Freezing in fact. And my skin and lips can really feel it. Yup...wintertime must haves a MUST. Thanks for stopping by, Suzi! Yes, I totally HATE when they do that because you finally find something you love...and then they discontinue it!!! And the industry is notorious for doing that. Grrrrrrr!#!>? in the mood to try something different...you've gotta try this one because it's FANTABULOUS and very inexpensive. cream, I'd appreciate that, Ron!" using this for years and love it. doing these once or twice a month, just to add something different. Plus....I REALLY enjoy writing these kinds of posts and putting them together. If you're in need of a moisturizer and feel like trying something different, please check out Nivea Soft. You can purchase a small trial size for a $1.00 in CVS and then if you like it you can get a full size. Hope you like it and thanks so much for stopping by, girl! I wanted to share these two products which I personally use and adore. but they still seems to get dry. Thanks for stopping by, Mel! Hope your leg is mending well! I am obsessed with Blistex. It's the ONLY brand I use. And now I need to get my hands on that Nivea Soft Moisturizing Creme!